The purpose of this type of consultation is to determine the areas of compatibility and incompatibility in a relationship, as well as information about the timing of important events in the future of the relationship. 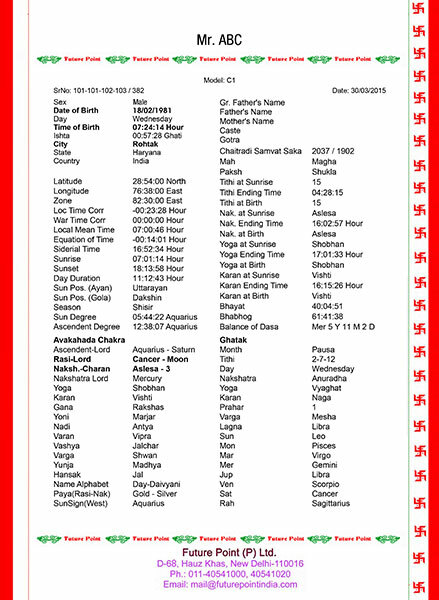 Milan Kundli matching model is around 4-page report which gives Birth Details, Planetary Degrees, Lagna charts, Lagna Chalit and Moon Charts and Navamsa Chart of both male and female natives. 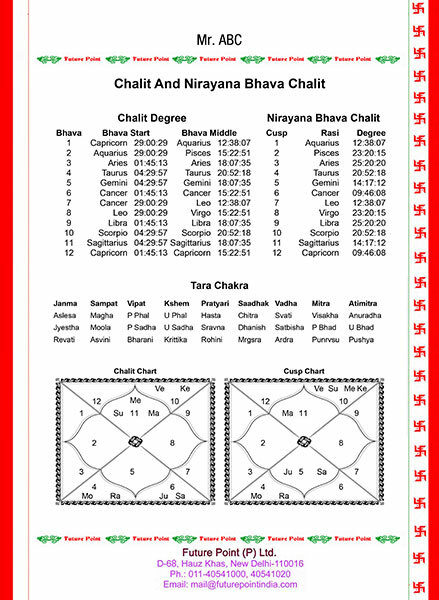 It includes Ashtakoot Guna Table with Bhakoot Dosh (if present) and Varga for both boy and girl along with Manglik dosh Compatibility. Deciphering if the boy or the girl has Manglik dosha in their Kundli is important before marriage, as special Manglik Dosha Remedies are prescribed by marriage specialist Astrologers to curb the issue at hand and eliminate all problems that might come in between the couple’s union. 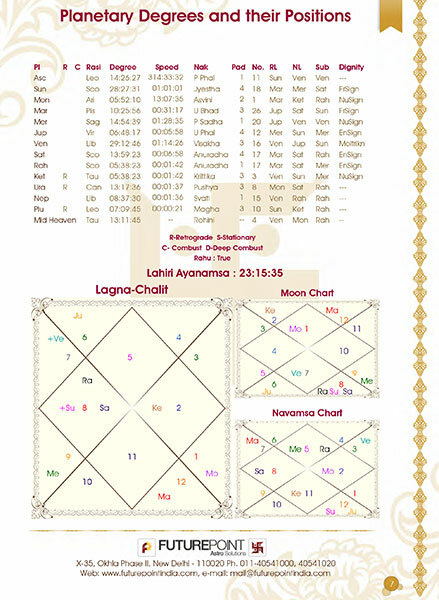 Calculation of Birth Chart, Moon Chart, Navamsa Chart - Basic important charts of both to get an idea about the strength of horoscopes. 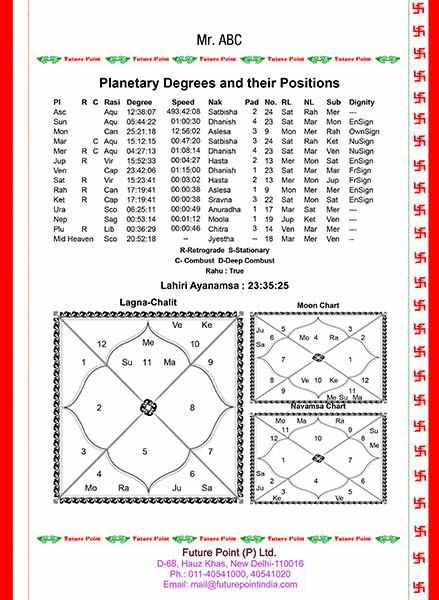 Those looking for Kundli Matching must take this horoscope and get desired results in their life! 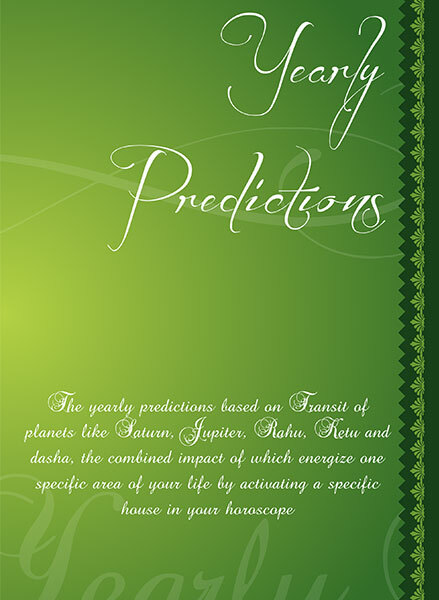 With the detailed predictions of the report, one can be certain about their life partner and dream of a vivid future with them. 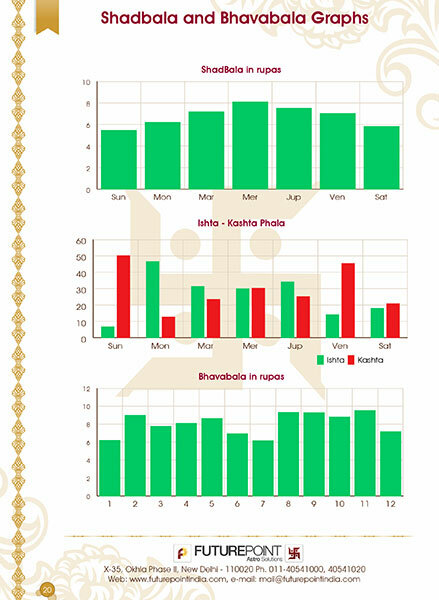 The Kundli Matching works strictly in accordance with the Guna Milan and Ashtakoot matching rules and principles, so as to give the most accurate and reliable marriage prediction.